Awnings are very useful to prevent heat and protect buildings during the smoldering, summer seasons. 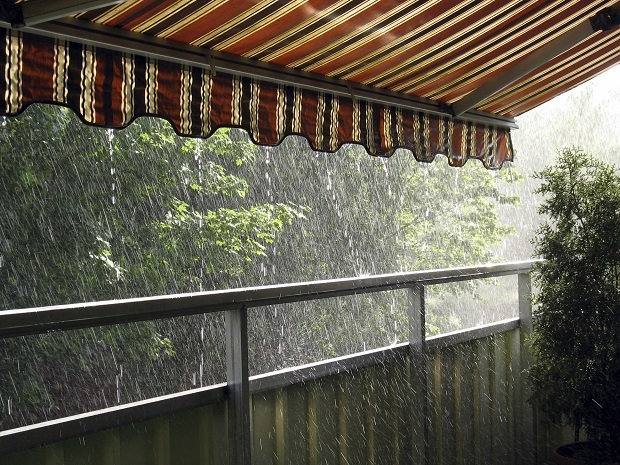 Awnings can even help to protect against rain, snow, and prevent the elements from damaging furniture and windows. When choosing an awning, it is important to choose a fabric that is not only stylish but will stand the test of time. Fabric awnings have proven to be easily constructed with high-tech materials that do not fade, are durable, and of course, aid in protecting a building from the sun. Here is a guide on purchasing the best quality awning fabrics. The number one reason for buying awning fabrics is to provide coverage to buildings, windows, furniture, and other exterior surfaces. It is important to find shading that is advanced and has a high percentage as well as UV rays, mildew, and mold. It can be cumbersome to replace the fabric of an awning every few years. If the material of the awning is chosen properly, wind won’t be an issue nor will rain, snow, or any other inclement weather conditions. Another benefit of choosing durable, awning fabric is that mildew or mold will not damage the awning fabric. All fabric types which include vinyl, acrylic, polyester, mesh, and cotton typically last between the span of 5-15 years. Here comes the fun part of choosing awning fabric: picking the colors and patterns. While picking an awning fabric should be practical, this does not mean there has to be a lack of style. Awning fabrics come in a multitude of hues and patterns and can automatically change the entire look of a residence or commercial setting. Due to there being a wide selection, you can easily match your current exterior decor. Adding a fabric awning to a residence or commercial setting can be energy friendly and economical. Money can be saved on electric bills because this type of fabric will aid in cooling down a building and fighting off heat. Adding a fabric awning helps with marketing. Some businesses are automatically more identifiable when they have an awning. Think about the times when you may have walked past or driven by an awning with unique stripes. Some businesses become synonymous with their awning fabrics.